Peet's welcomes back the turmeric-infused Golden Caffe Latte and features two additional new beverages featuring turmeric this winter. The Golden Caffe Latte features steamed milk mixed with turmeric poured over espresso infused with ginger and honey syrup. The new Golden Cold Brew Fog consists of Baridi Blend cold brew coffee with turmeric, honey syrup, and ginger lightly blended with milk and ice. The Golden Matcha Latte features Mighty Leaf Tea brand matcha green tea with steamed milk, turmeric, and honey syrup. 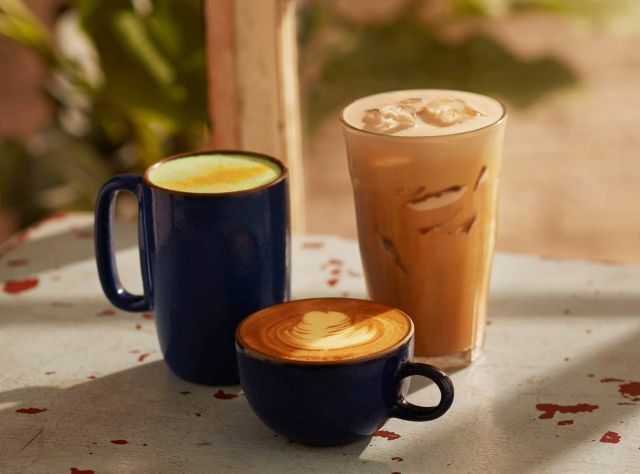 All three seasonal beverages are available at participating Peet's stores through May 21, 2019.